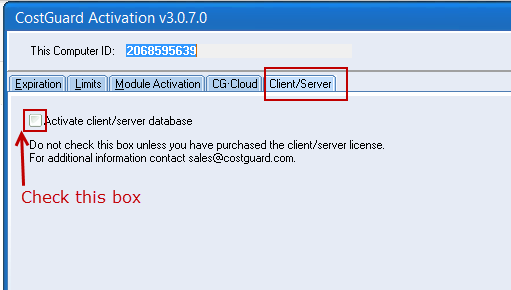 Click the Client/Server tab and check the box labeled Activate client/server database. If you receive an error when you open the utility, close the error box and click the key icon on your computer’s toolbar at the bottom of the screen. That will open the activation utility. Then follow the instructions above for checking the client/server box.